Here at The Candle Tree we sell a large range of french soaps all with unique qualities and beneficial properties. A great skin soothing choice is the 125g Savon de Marseille Wheat Germ Oil Soap which is also enriched with BIO Shea Butter. Our wheat germ oil soap provides you with all of the beauty benefits of wheat germ, without the hassle of a messy oil application. Use daily to protect, heal, and nourish your skin. • Wheat germ oil can be used either internally or topically. This special oil is associated with several skin benefits such as healing and preventing skin problems. This is a typical oil found in several natural skin care products such as massage oils and creams. It is not advisable however to be used by people who are gluten-sensitive. • Wheat germ oil contains high nutritional value in comparison with other grains or vegetables. It comprises about 25 percent of the whole nutrients of wheat grain and therefore is loaded with several health benefits. • Rich with folic acid and Vitamin B6, potassium, magnesium, phosphorous and numerous essential nutrients, wheat germ oil is a recommended addition to your skin care regime and diet. • Wheat germ oil can be used to fade and heal stretch and scar marks. The high levels of vitamin E and protein content aids minimize the appearance of stretched or injured skin. In addition, the vitamin E properties in this oil hydrate the dry, flaky and cracked skin. On top of all these, wheat germ exhibits anti-aging properties which aids enhance the way your skin looks and stimulates growth of new cells. 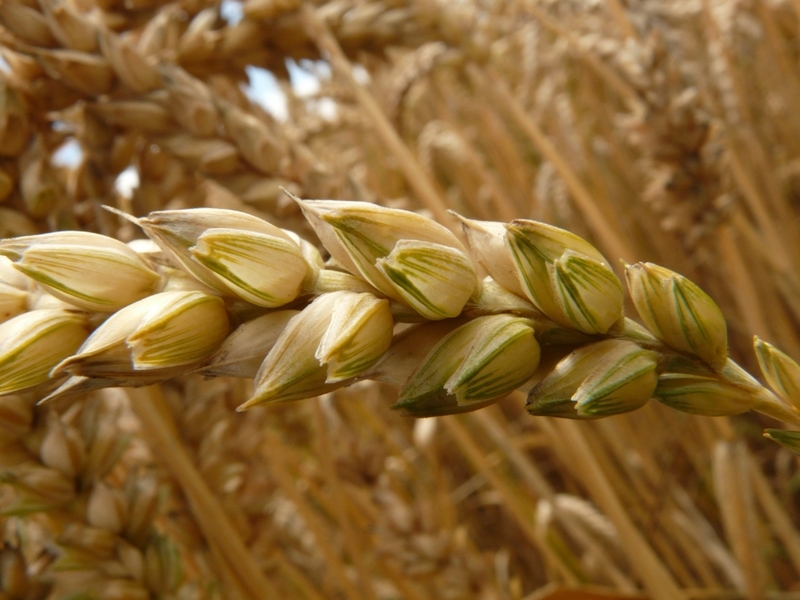 • As well as containing vitamin E, wheat germ oil consists of linoleic and linolenic acid that is frequently used to improve eczema and psoriasis. These fatty acids hold anti-inflammatory properties which take care of your skin's immune system functions as well as acting as a protective barrier. This gentle handmade French soap is the ideal daily cleanser for anyone with sensitive skin or anyone who struggles with psoriasis or eczema. This gentle cleanser helps to heal, soothe, repair, and regenerate dry and wounded skin. It is also safe to use on cuts, scrapes, bug bites, and mild burns. When used daily, our wheat germ oil soap will infuse your skin with nourishing vitamin E and shea butter. Together the two will help to hydrate your skin. It will cleanse your skin of ageing free radicals. If you are searching for a luxurious daily cleanser that is gentle enough to wash your body, remove make-up, and even use on the youngsters in your family, look no further than this Shea butter-enriched savon de Marseille beauty bar. Savon de Marseille soap is an artisanal vegetable French Soap, certified without animal fat and made in Marseille from rigorously selected raw materials. They are also enriched with shea butter with its amazing healing and moisturising properties. See our great range of these soaps online at The Candle Tree!